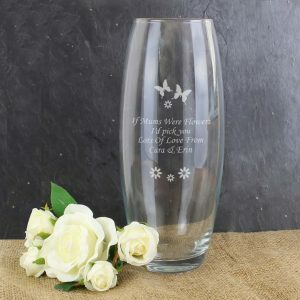 Personalised Vases make a great gift for Mother’s Day or as a leaving present for a work colleage. Add your own bunch of flowers you’ll have a complete gift. We have a range of different designs, shapes and sizes available in glass and ceramic. 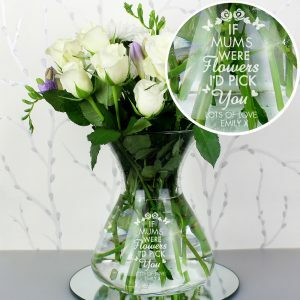 Each vase as a personalisation area for your own message or their name.